Please note that you are NOT required to print these tickets - we happily accept electronic tickets. Please join the Pre-paid line at SEA Life Melbourne and have your tickets ready to be scanned. 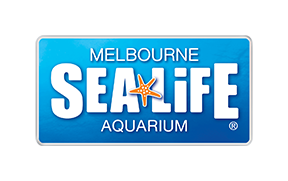 Some ticket options can only be collected on site at SEA LIFE Melbourne. If you have one of our 'Collect at attraction' tickets please have your booking reference number ready to quote to our customer service team.